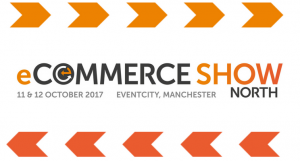 Three more key figures from the world of eCommerce have been confirmed as speakers for the eCommerce Show North, which takes place over October 11th and 12th 2017 at EventCity in Manchester. Kristal Ireland, head of eCommerce and retail at Virgin Trains East Coast, Zak Edwards, managing director of Prezzybox, and Philip Driver, head of eCommerce at Canon, will all be speaking at the brand new event. 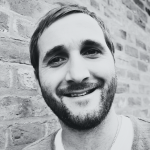 The latest names add to a packed programme that already includes key industry experts from the likes of Rentalcars, AO, Prezzybox, Kellogg’s, Virgin Trains, Park Group, Missguided and Icelolly. Registration is open and you can secure your place here - we are expecting around 4,000 attendees alongside the 120 exhibiting businesses. An experienced digital leader and digital transformation specialist, Kristal heads up the eCommerce and Retail team at Virgin Trains East Coast. 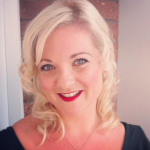 With over a decade of experience in all facets of digital marketing and technology development, she has worked with some of the UK’s biggest brands to define and deliver digital futures fit for the modern day consumer. Zak is old and very often the thickest person in the room! This aside he’s also the owner of the World’s largest pork scratching (true story!) and happens to be the Head Honcho of Prezzybox.com. During the dot.com boom of the late 90’s Zak, along with Dad Johnny E (the money man) launched Prezzybox and then proceeded to become ‘alright at everything’ in a quest to drive more than one sale a day to the site! Now, 17 years later Prezzybox are one of the biggest players in the online gift space generating up to 5000 orders a day from countries all round the world. 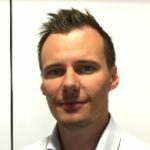 Philip manages the Canon EMEA eCommerce team, a dedicated group of 26 people across marketing, conversion rate optimisation, customer Services, logistics, payments, content & design, platform development and trading & merchandising. Results focused, he is driving unprecedented change through eCommerce best practice, lean management and agile working methods. Manchester-based hosting company UKFast is the headline sponsor of the event and CRO specialists Endless Gain, eCommerce website experts Space48, Magento agency Digitl and email marketing automation business dotmailer are all on board as event partners. Theatre sponsors to have committed to the event so far include global eCommerce platform Magento, business support network Business Growth Hub, international payments company WorldFirst, creative and data-driven digital agency twentysix, B2B marketing specialists SteinIAS and global advertising company Finch. The event will feature leading exponents of eCommerce with businesses specialising in the full range of available services and solutions, including platforms, payments, analytics, security, marketing, hosting, backbone, logistics, mobile, hardware and innovation. There will also be a huge range of industry presentations and specialist businesses talks, conference sessions and seminars. eCommerce Show North will be an unmissable event for all those with a connection to the eCommerce sector, from CEOs, CMOs and MDs to heads of digital, developers and technical managers. There's still time to get involved as an exhibitor, sponsor or partner - please contact Martyn Collins on 07764 406873 or by emailing martyn@prolificnorth.co.uk.